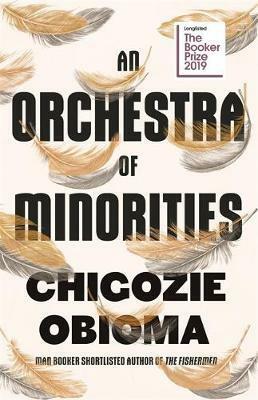 Chigozie Obioma received international acclaim for his first novel The Fishermen, which was shortlisted for the Man Booker Prize in 2015, won several international prizes for emerging writers, and led him to be named as one of Foreign Policy magazine’s 100 Leading Global Thinkers in 2015. He is one of the voices in the new generation of Nigerian literature. In 2019, Obioma returns with An Orchestra of Minorities, a contemporary retelling of Homer’s Odyssey punctuated with Igbo cosmology – mainly that of the chi, the spirit. The spirit of Chinonso, a young Nigerian poultry farmer, narrates the novel. While the spirit observes and protects Chinonso, it cannot interfere with his decisions or emotions. The story opens as Chinonso finds a distraught woman, Ndali, contemplating jumping off a highway bridge. She is moved when he sacrifices two of his chickens to show her that jumping would be fatal. Months later, they meet again and fall deeply in love, bound by their connection at the bridge. Chinonso’s odyssey begins here; he sets out to improve himself for Ndali’s family by leaving Nigeria to attend a university in Cyprus. Thoughts and visions of Ndali plague him in this unfamiliar world. ‘I have seen it many times’ is the refrain of the spirit, who has resided in many hosts over seven-hundred human years. The chi’s knowledge and connection to the past collides with Chinonso’s suffering from heartbreak, deceit, and poverty, often leaving Chinonso lonely and full of rage, and the reader desperately hoping everything will work out for Chinonso, Ndali and those who help them along the way. Obioma employs rich language that scatters dust over the poultry farm, vacuums over Cyprus, and fades Chinonso’s dreams. The chi’s purpose may be to look out for its host, to communicate its knowledge and suggest a path forward through life, but humans must experience the magnetic pulls of love and heartbreak, poverty and pride, and fortune and loss. Obioma’s epic confirms his place in the Nigerian literary tradition. Clare Millar is from Readings Hawthorn.